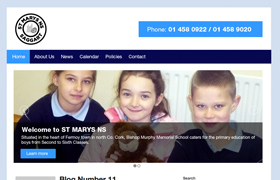 We offer a School Web Design service for schools around Ireland that is affordable, stress free and time efficient! 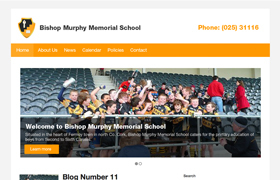 With this service you’ll receive a school website that is both easy to update and looks great. Try it now for FREE with a no obligation, 30-day trial. Your brand new website will be free for 30 days and if you would like to continue after your 30 day free trial, it will cost just 49/pm. 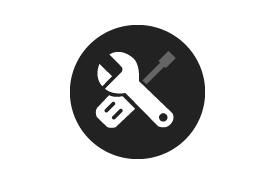 We also host the website ourselves and carry out monthly maintenance and security checks to ensure optimum performance. A school’s website is fast becoming an integral tool for teachers, parents and pupils alike. The ability to publish information and manage content online are big challenges facing school organisations today on the internet. We propose to fix that with effective school web design. With our websites you get a fully responsive (works on iPhones, tablets etc.) school website that reflects the values of your school. View an example. 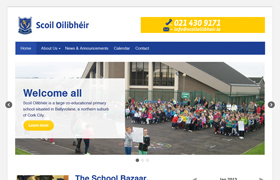 A successful and distinctive website for your school that gives you the ability to make updates and manage content without any previous knowledge of web technology or web design. Below we outline just some of the features and benefits you get with a JamJo school website design. View our pricing plans. Intuitive tools give you complete control over your site including creating web pages, uploading images and documents, updating a calendar of events and posting news and announcements. A simple and effective calendar that allows you to manage school events and appointments. It includes mouse-over details for each event, time stamped events, author events and more. See it in action. Get your images from your desktop to your website. Create and manage photo galleries quickly and easily. Easy uploading and management of galleries of images, batch uploading, thumbnail editing and more. 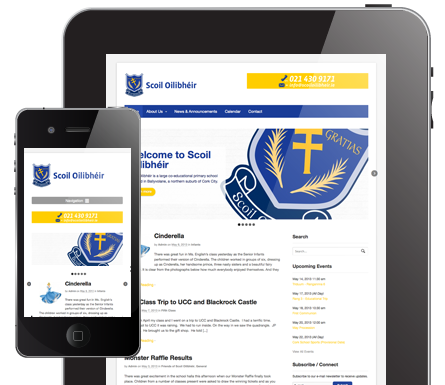 If you’re in need of school web design and require a website for your school that’s easy to update and looks great, then call a member of our team on 021 242 8361 (we’re available Mon-Fri, 9:30 – 17:00 (GMT) Alternatively, If you’d like to learn more about JamJo’s School Website Design, then you can email us at info@jamjo.ie. We look forward to hearing from you! Easy to update and manage news and announcements. Post recent achievements, successes, important messages to parents and pupils. See it in action. We provide around the clock, email-based support together with an extensive knowledgebase full of easy-to-follow, step-by-step video and text tutorials. Pay yearly/monthly, cheque, credit or debit card. Cancel anytime with no lock-ins, long contracts or hidden extras. We are offering a FREE, no obligation 30-day trial. START YOUR FREE TRIAL TODAY. 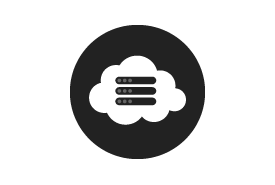 Amazon s3 website BackupsWe use Amazon S3 as our partner to backup your websites every day to store at a remote location and retrieve any amount of data, at any time, from anywhere on the web. WordPress Managed UpdatesWe keep your site secure without you having to think about it. 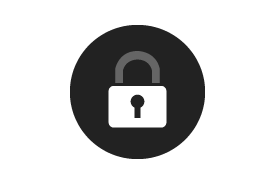 Whenever WordPress issues a security update, we test it, then proactively apply it to your site as well as any plugin updates. We offer two packages as you can see above. The standard package and the professional package. View our pricing table above for a full breakdown of each offering. If you need more just email us and we can help you out. Yes—and you can pay online or via cheque! just signup online and select the 12 month option at the checkout stage. Yes. The domain must be available for purchase. We can check this for you and guide you through the process. Can I retain my old domain name? Yes. If you already have a registered domain name you can have it pointed to us and we can build your new site using your existing domain name. Is it easy to update the content of the website? Yes. Through the WordPress CMS which is part of your website package, it is as easy as editing a MS Word document. WordPress is the number one Content Management System in the world after all. We have 17 training videos to get you started. Yes. Schools Websites comes with full text based tutorials and online video tutorials. In the unlikely event of you experiencing unexpected problems with your website system, contact our customer support team at head office. Will my school’s data be secure? What content do you require? We need only the basics of your website to get it all up and running for you, we will ask you for certain pieces of information first as you can see here and then you can make any changes you wish there after.